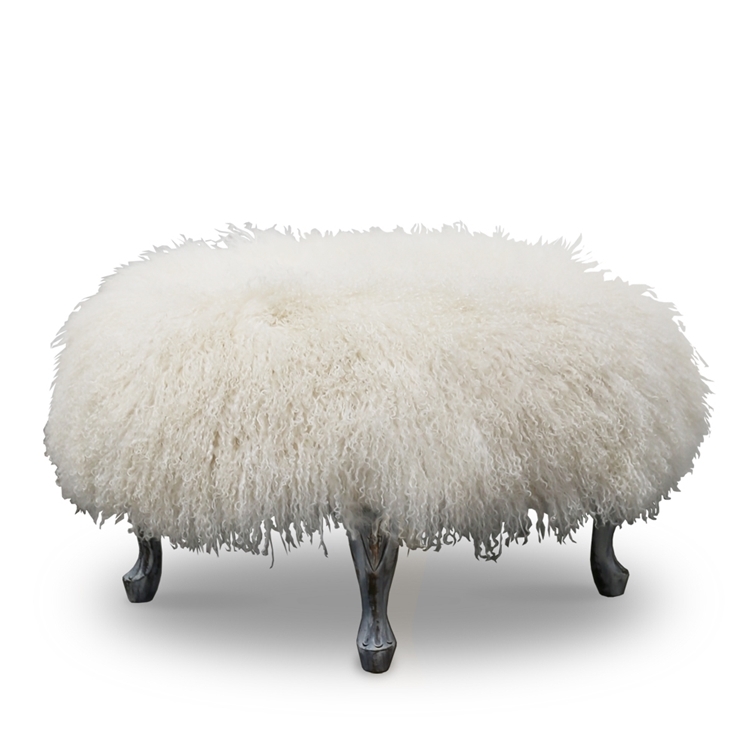 DIAMETER 32" | H 18"
LONG HAIR SHEEP FUR IN "NATURAL" COLOR WITH CUSTOM FINISHED LEGS. Item sold as shown online. Email info@hautehousehome.com or call 323.256.2800 for custom options and more information.